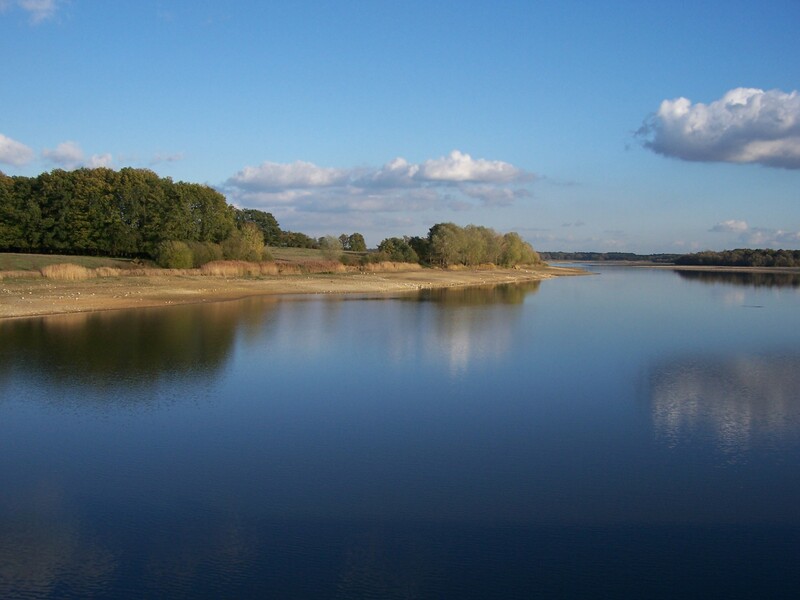 Located next to the Lac de Rillé , a lake designated by the Council of Europe as a special wetlands for migratory birds, and adjacent to mixed forest which stretches all the way to the Loire Valley, this is an ideal location for bird watching, fishing, cycling and walking, or canoeing on the lake. A fishing boat and bikes available for hire. The 'gites' are part of the property called 'Les Mousseaux' an old farm and watermill on the River Lathan, which still flows through the grounds. Enjoy our wildlife pond and the hectare of permaculture gardens brimming with wildlife. Or enjoy trips out to the beautiful tranquil towns and chateaux of the Loire, like Saumur, Langeais, Chinon or Chenonceau. Appropriately called the 'garden of France', the Loire Valley is a patchwork of rich agricultural land and beautiful forests, where life seems frozen in time and local farmers still work the fields and forests in the old ways. Enjoy the permaculture gardens and secluded picnic areas by the river, or relax among sub tropical plants in our orangery. If you rise early you may see the blue flash of kingfishers on the river, hear the golden oriole and hoopoes and watch the frogs and newts in the river and pond. While both properties offer full facilities with free internet wifi, modern kitchens and bathrooms and all you would expect in a modern holiday location, here is is somewhere you can truly relax and escape. There are barbecues for eating 'al fresco', picnic tables and chairs in several locations, and hammocks for a sunny afternoon relaxing in the orchard out of the hot sun. 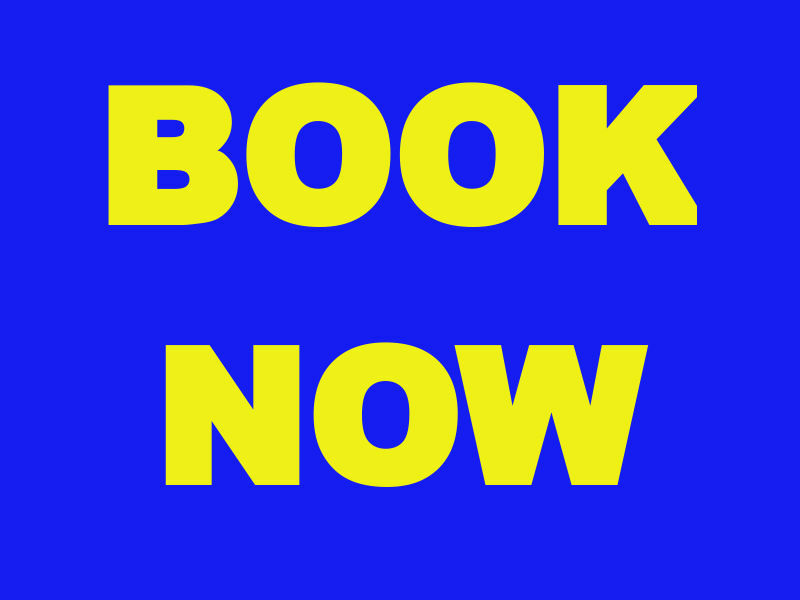 Please check for latest prices and booking details by clicking the links for La Moussette or La Bergerie. 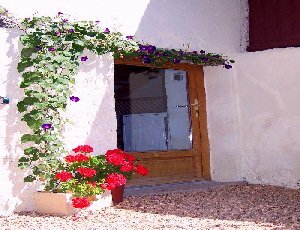 La Bergerie is a newly restored shepherd's cottage with solar water heating (plus electric backup) well appointed kitchen, dining/living room and one large bedroom with attached bathroom with shower, bath and loo. With cast iron log stoves in living room and kitchen, it is cosy and comfortable even out of season for autumn and spring breaks. 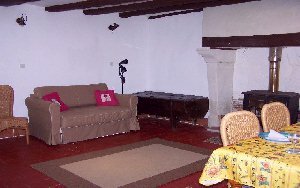 Upstairs is a double and single bed while downstairs there is a comfortable and new double bed settee. Outside is a private patio area with barbecue, picnic table and chairs and self supporting hammock. It overlooks the watercourse and is a perfect spot for an evening glass of wine. 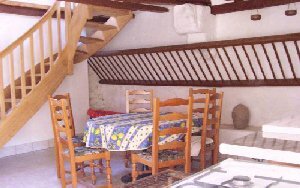 La Moussette offers charming accommodation in a tastefully converted hay loft and stable and can sleep up to six people. There are two bedrooms (one a bed sitting room) and a bathroom on the first floor with kitchen and dining room on the ground floor. There are 'bunk beds' built into bedroom one, suitable for young children. There is an annexe with a double bed, bath and loo at the other end of the building which can be booked at a small extra cost for an additional two people . 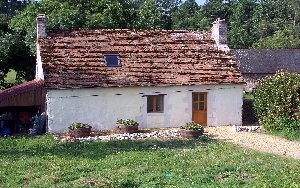 "This is a small cottage, ideal for two people who want to get away from the hustle and bustle but be close enough to the chateaux of the Loire for easy exploration. The pictures on the web do not do justice to place, it really is idyllic, in a lovely setting and just so quiet and peaceful. Adrian and Sally are delightful hosts and their collection of animals a joy. Lovely fruit and vegetables from the garden and great walks in the area. " 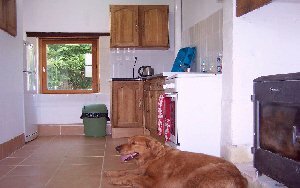 An old shepherd's cottage tastefully converted into a comfortable holiday home. or just telephone us or email us. 49490 BREIL, Pays de la Loire, FRANCE.